Miss Mary Channing can think of nothing more lovely than an early morning spent in the garden reading a book. She is not perturbed by the prospect of spinsterhood or a life of quiet and solitude. Her sister, unfortunately, is set on making her be social and experience something outside of her small little world. Mary finds herself called to London and thrown into society unceremoniously. But not before she encounters a drunken Lord in the back garden who can only be a terrible rogue, the likes of which she has only read about in her precious novels. When Mary finds herself thrown into a conspiracy with the very gentleman she is trying to avoid, and no one will believe them about a possible plot to assassinate a prominent government official or perhaps even a member of the monarchy, Mary Channing’s life takes a very exciting turn, full of ladies of the night, corruption, scandal, duels, espionage and intrigue. Will Mary survive her London adventures? Can she spend time one on one with a scoundrel Lord with her dignity and virtue intact? If you enjoy novels of the bodice-ripper genre, you will love this amusing, easy weekend read. Perfect for a rainy day in your favorite blanket. Maya Rodale is one of my favorite smutty romance novelists. Her heroines are always plucky little things, very spirited and cheeky, and her tales are full of comedy and warmth. The “Bad Boys and Wallflowers” series has been a fun collection to sprinkle among my more intense reading choices in the last year or so. What a Wallflower Wants is no exception. Miss Prudence Merryweather is approaching her 4th year as a debutante, and she is the only graduate of her finishing school to be unwed after so many seasons, much to her mortification…But Prudence has a complicated past and a dark secret that keeps her away from eligible bachelors, until she finds a gentleman who is willing to offer her a marriage of convenience that will solve both of their marriage woes without compromising their mutual secrets. Unfortunately while they are on their way to finally be wed, a highwayman stops their carriage and her deplorable fiancé throws her out of the carriage in offering to the blackguard-and she decides that he is no man she could possibly spend her life with…And she is alone on a country road, with no idea where she is, walking for hours before a handsome gentleman pulls up beside her in his carriage…But can she trust this man? What are his intentions? Is he who he claims to be? This story is full of fun, the bad guys always get what they have coming, and love always wins….So if you haven’t tried Maya Rodale and you love bodice rippers, pick up her Bad Boys and Wallflower series and you won’t regret the purchase. A woman is found wandering, lost, confused and ill during World War I. 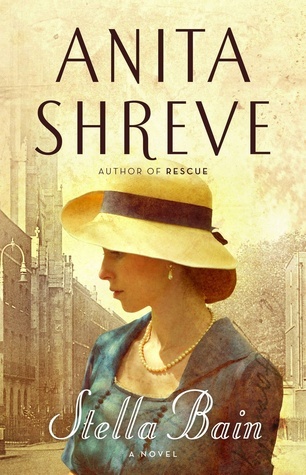 A kind and generous couple takes her into their home and nurses her back to health, realizing with time that the self-named Stella Bain actually has no idea who she is, and has no place to go. The couple observes only that she has been serving in the war, based on her uniform, and that she has an American accent. Stella must overcome her amnesia and get her life back-but how long will it take? Does she have family and friends who are worrying about her? Why can’t she push away the nagging guilt that arises whenever she tries to remember who she is? What if she doesn’t want to know the truth about her past? Suddenly, it all comes back to Stella, and she must decide what to do with the rest of her life and rediscover who the real woman inside her wants to be. Stella Bain is very historical fiction/women’s fiction in genre. The tone is very serious and rich in description and sentiment. I found it to be an excellent audiobook to hear at work- but I also have a special weakness for historical fiction set during the Great War-I just think it was a great time for women to start showing the world what they were made of, don’t you?! 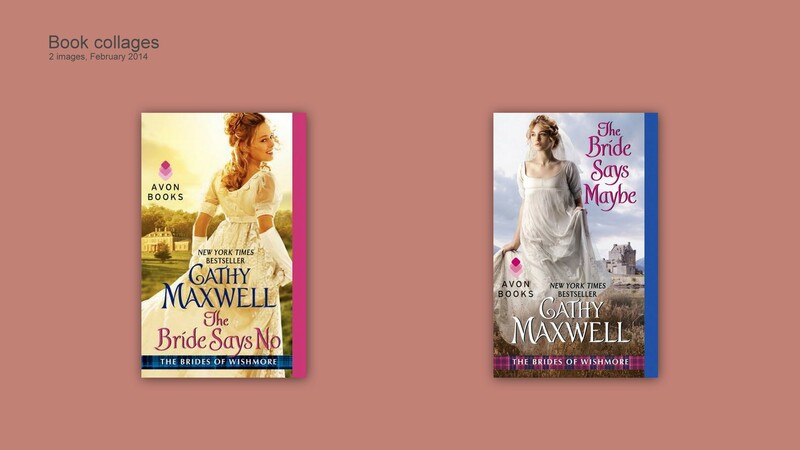 Cathy Maxwell has two new books out in her brand new Brides of Wishmore series: The Bride Says No, and The Bride Says Maybe. These novels are best read back-to-back, because they feature the inevitable love stories of two sisters, Lady Tara Davidson, and Lady Aileen Davidson. When, once again, the father of these two young ladies has put himself in a dire financial situation, he decides it is time, for once and for all, to put his daughters to good use…By marrying them off, of course. The ladies are heartbroken, but little do they know, true love is on it’s way, and it comes from the most unexpected of places… If you like bodice rippers or historical romance novels with happy endings, and you need a good weekend read, be sure to pick up the new Brides of Wishmore series today! The 6th novel in the Maiden Lane series is here, and it’s out in audiobook too! Duke of Midnight, by Elizabeth Hoyt, is a bodice-ripper with a gothic twist. Artemis Greaves is serving as a lady’s companion to her aristocratic cousin Penelope when they are accosted by some street hoodlums. Before they succumb to the evil men, they are rescued by a masked stranger who can only be the legendary “Ghost of St. Giles”. He is gone before they can get much information from him, but Artemis ends up with a ring from his finger-a ring that can only belong to an aristocrat. Who IS this Ghost, and why does he wander the dirty, booze-ridden streets of St. Giles if he comes from a noble family? Artemis is determined to find out more. The Duke of Wakefield, Maximus Batten, has a secret second life, spending his days in Parliament and his nights seeking clues in the darkness to solve the murders of his parents, decades ago. No one can ever know the truth about his double life, so he keeps a safe distance from everyone but his faithful manservant. But the time has come for Maximus to find a suitable Duchess-someone from a titled family with a nice dowry would be ideal…So why does he find himself so captivated by Artemis Greaves…? I was surprised by Duke of Midnight, mostly because it had a darker twist to it-madness, the corruption of the aristocracy and Bedlam, murder and revenge…If you want a nice, tidy bodice-ripper where boy meets girl and they simply banter back and forth until they inevitably fall into bed together, this one is not going to be that novel. If you want something with a little more bite, however, be sure to pick up Duke of Midnight, by Elizabeth Hoyt, today-and the audiobook version by Hachette Audio is impeccably narrated, so if you like to listen to your romance novels, this one is a keeper.